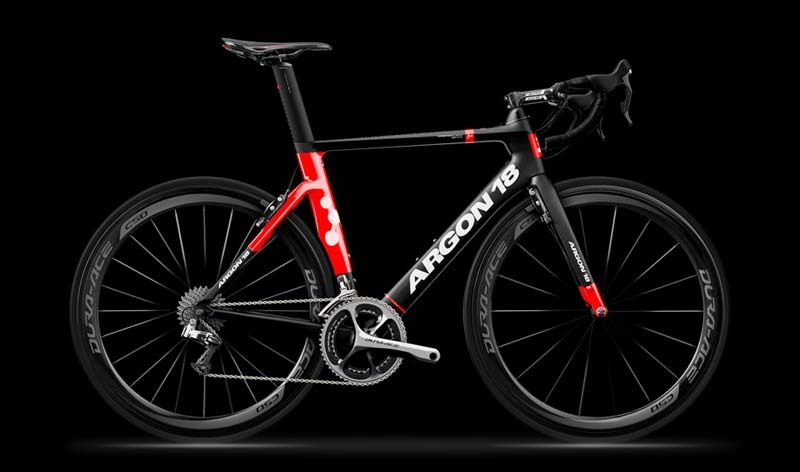 As a result of a new partnership with the pro Bora - Argon 18 team, Canadian bike company Argon 18 enthusiastically launched its 2015 collection at the latest Eurobike show (August 27-30) held in Friedrichshafen, Germany. The public was introduced to Argon 18's new aero bike - the Nitrogen - in addition to discovering significant improvements made to brand favourites E-118 Next, and Krypton Xroad. "We are delighted to finally be able to reveal these new bikes. We believe that they will meet a strong market need; in addition, many road cyclists and triathletes will find an opportunity to increase their personal performances to a higher level with them", says Gervais Rioux, Argon 18 CEO and founder. "The 2015 collection is in total harmony with the mission that our company has uphold for the past 25 years: to produce industry-best, performing bikes by using advanced technology, in compliance with what has been achieved in the best cycling tradition." A new type of bike has appeared at Argon 18. In addition to presenting cutting edge aerodynamics, the Nitrogen has all the advantages of the Optimal Balance: light, rigid and comfortable, without any sacrifice. "The Nitrogen will appeal to both road and speed enthusiasts and triathletes looking for the perfect blend between performance and versatility", states Martin Faubert, Director - Research and Development. "Road tests and wind tunnel tests are highly positive and confirm that the Nitrogen should be highly successful in the coming months. This is definitely the aero bike that cyclists have been expecting, in our opinion." The next chapter of this success story begins with the launch of the E-118 Next. Its new front end is now more integrated, rigid and lightweight, while still allowing the same adjustment options that made its reputation. This complete redesign of the bicycle's cockpit, through introduction of new ONEness 3.0 technology, propelled the E-118 Next to the rank of exceptional time trial/triathlon bikes. "The E-118 Next is not only aesthetically beautiful, but the numerous changes made by Argon 18 clearly helped transform a bike I liked to a bike that I now LOVE", says Leon Griffin, Professional triathlete and winner of the Ironman 70.3 Timberman on a 2015 E-118 Next. Furthermore, fans of light weight will be happy to learn that the bike is about 100g lighter than the previous edition. 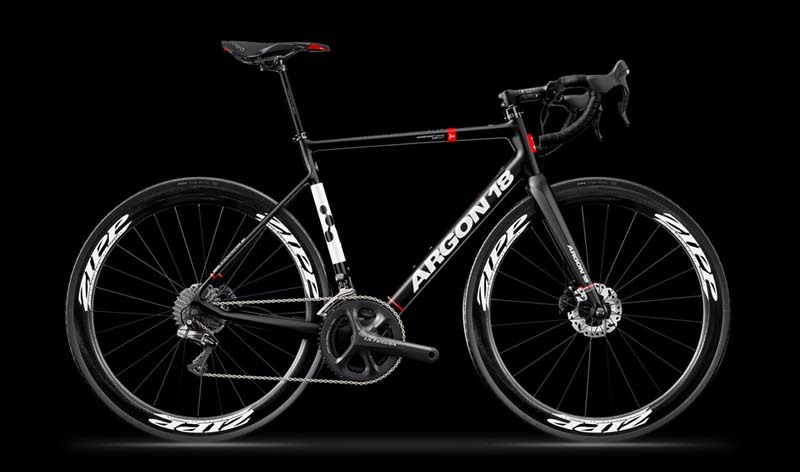 For 2015, the Krypton's frame has been optimized with a new carbon lay-up exclusive to Argon 18 - the 5750 HM - so that the bike is more comfortable, while maintaining its weight and rigidity. Everything has been well thought out so that the new Krypton becomes a benchmark, and a call to rediscover the road thanks to superior maneuverability. "The idea was to offer a bike with versatility and stability that would get people where they want to go, when and how they want to. In short, total freedom now has a name: Krypton Xroad", added Gervais Rioux.